Karan Johar’s Mumbai Apartment Is Everybody’s Dream House. Bollywood’s one of the biggest producer Karan Johar’s Mumbai residence is everyone’s dream house. Karan Johar is a multi-talented Chief, screenwriter, judge, director, and actor. It is surrounded by an extravagant garden planned and decorated by Gauri Khan. @gaurikhan designs my baby nursery with so much love and care!! Love you gauri! It’s the most beautiful space…. The interior designer of the flat has notched its market value by few times by his brilliant touch of work. He has also transformed a section of the house as a white themed nursery for two cuties Yash and Roohi. Karan has over more than one properties all across the India and lots of fancy cars including BMW and Mercedes in his name. He bought his Mumbai residence in 2010 which have a massive plot area costing about 40,000 per square feet. The deal is rumored to burn a hole in a KJo’s pocket of about 30+ crores. It also has a lavish penthouse in the topmost floor of Residency. 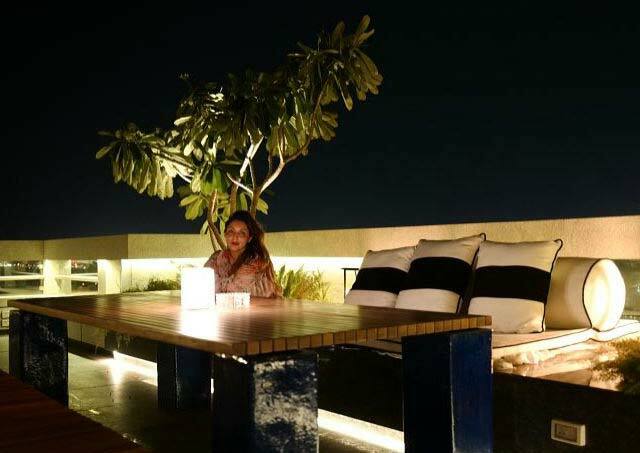 Gauri used her décor expertise to made it possible for KJo’s rooftop a party hosting worth place. It has a huge space with a sculptured bar and pristine white and yellow couch, along with elegant lanterns and potted trees complimenting the scenery of the rooftop. Dad at 45! This is the result! Karan Johar’s fashion obsession is no secret to his fans. In fact it is crystal clear from his marvelous collection of wardrobe.And this house adores most of his elegant wardrobe choices over the years.